As an HVAC contractor, you’re the one to call when the cooling system stops working in August, or the air conditioning system just isn’t working. When someone’s heating system in the middle of winter is on the line, the pressure is high. You might love the physical nature of your work or enjoy the combination of indoors and outdoor jobs. Even so, it can be hard being on your own, doing high-stakes work. If you’ve already put in the effort to become an HVAC contractor, you probably want to put every effort into making your business successful. But you can’t just rely on your technical skills, no matter how good they are. You also need to make sure that you have the right HVAC contractors insurance. Insurance can protect your business and enable you to work with confidence, but choosing between HVAC insurance companies can be a challenge. At Next Insurance, we have HVAC contractor liability insurance that’s tailored to meet your needs. It’s easy to buy, available completely online, and designed to fit into your budget. We offer free unlimited certificates of insurance, affordable monthly payments, and no extra fees. Now, you can make sure that you have exactly the coverage that you need so that you can focus on improving your skills, doing your job, and growing your business. Why Do I Need HVAC Contractor Insurance? As an HVAC contractor you understand the risks that exist when you provide a service, work on someone else’s property, do physical work with tools, and perform a skilled job. No matter how careful you are or how advanced your skills are, mistakes and accidents can happen. We at Next Insurance make sure to offer coverage for some common scenarios, including injuries to third parties, property damage, and more in all HVAC insurance programs we offer. In addition to cases where something goes wrong, HVAC insurance also gives you the ability to prove your professionalism to the customers inviting you into their lives. With unlimited and free certificates of insurance available online anytime, you can be ready to bid on any job, or show them to any general contractor, whenever you need them. 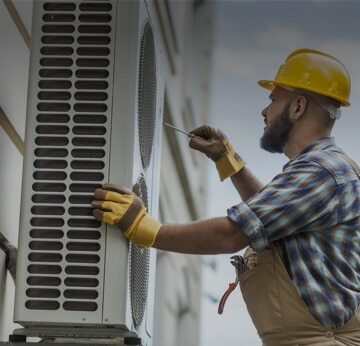 Once you’ve taken care of your HVAC contractors insurance, you’ll be able to focus all your energy on your job, and landing the big contract you’ve had your eye on, or even taking a much needed vacation. You’ll have the confidence you need to run your business the way you want. Why Is Next Insurance Right for My HVAC Company Insurance? Setting up your business, your mind might be spinning with all the details you need to handle. Choosing from all the HVAC insurance companies shouldn’t be among the things you need to worry about. That’s why we make buying and owning your HVAC general liability insurance as easy as possible. With prices starting from just $29 per month, we make sure that our insurance will fit into your budget. Buying your insurance takes just minutes, and the process is 100% online. You can even file a claim online if you need to. Most importantly, our HVAC insurance plans are designed to suit your specific needs, so that you have exactly the coverage that’s right for you. Go ahead and check out our customer reviews so you can see how other contractors and business owners just like you have benefited from buying their HVAC liability insurance from us. Do I Need HVAC Business Insurance if I Do Other Work, Too? Many of our HVAC contractor insurance customers do other types of work on the side. If this is true for you as well, we suggest skipping the liability insurance for HVAC contractors, and instead filling out our general contractor insurance application. On the application form you’ll see all the activities we cover listed. If what you do isn’t listed, it’s not covered. Check off all the categories that are relevant to you, and we’ll include them in your policy. You take lots of steps to help your business thrive, and insurance is an important part of that. We've made it simple and affordable for you to buy your tailored HVAC insurance policy, online, in just minutes. Once you're covered you can get back to your current job, or build towards your next one with the confidence of great coverage behind you.